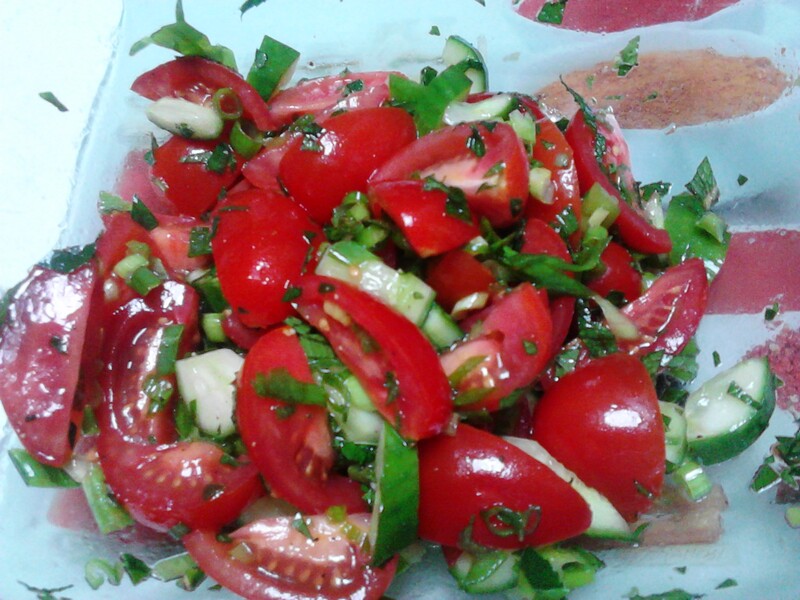 This is a very simple but tasty salad that is a wonderful side dish to a meal. 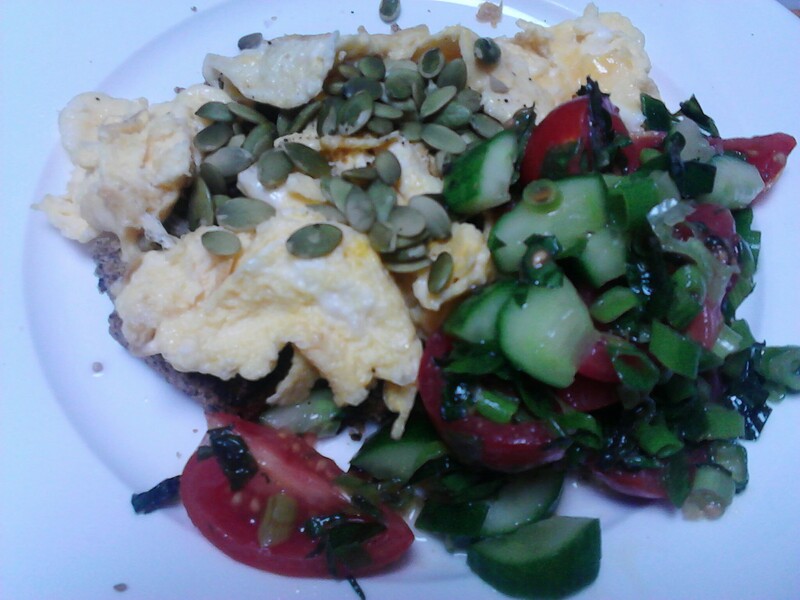 I have had it for lunch the last two days with my home made seed bread and eggs, and it was really wonderful. I used baby Roma tomatoes that had been grown on the vine and they were so delicious and sweet. My own tomatoes are coming along nicely but need a few more weeks of the hot Australian sunshine to be ready to pick. Some herbs chopped up. I had mint and basil in the garden and the taste was nice. If l had some flat leaf parsley l would have put that in also. Cover with some cling wrap and store in the fridge until required.